Today, I have another long over due post for you all. As you may know, last year, I had the amazing opportunity to be a part of Rescue Beauty Lounge's Fan Collection 2.0. It was a wonderful experience and to finally have my dream polish become a reality leaves me practically speechless. Every time I wear this, or look at my bottle, or come across someone else wearing it, it's very hard for me to find to words to express what I feel at that moment. 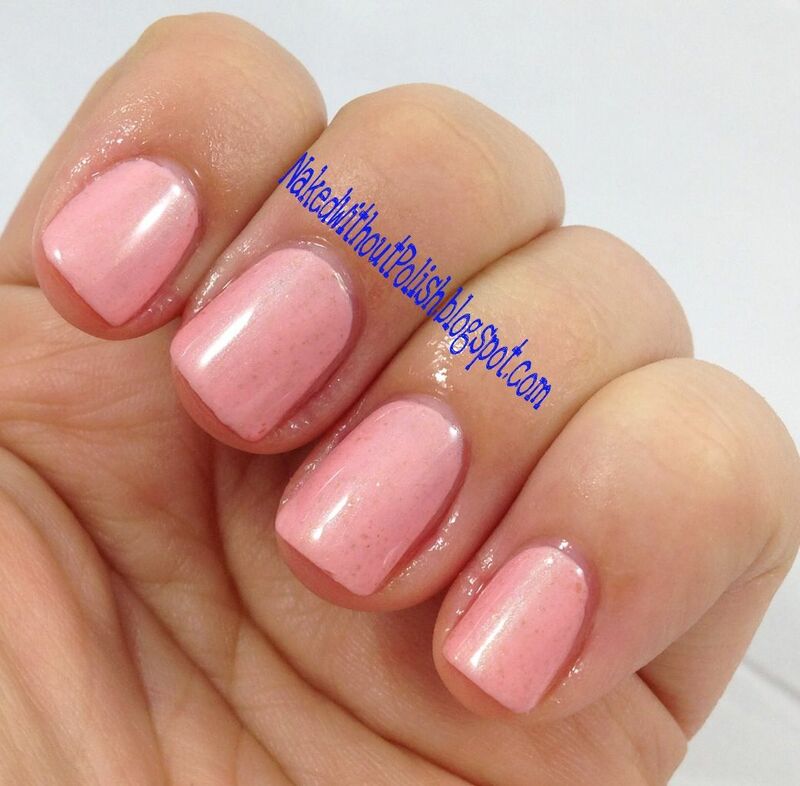 If you have not yet seen it, I introduce you to Rescue Beauty Lounge's Naked Without Polish. 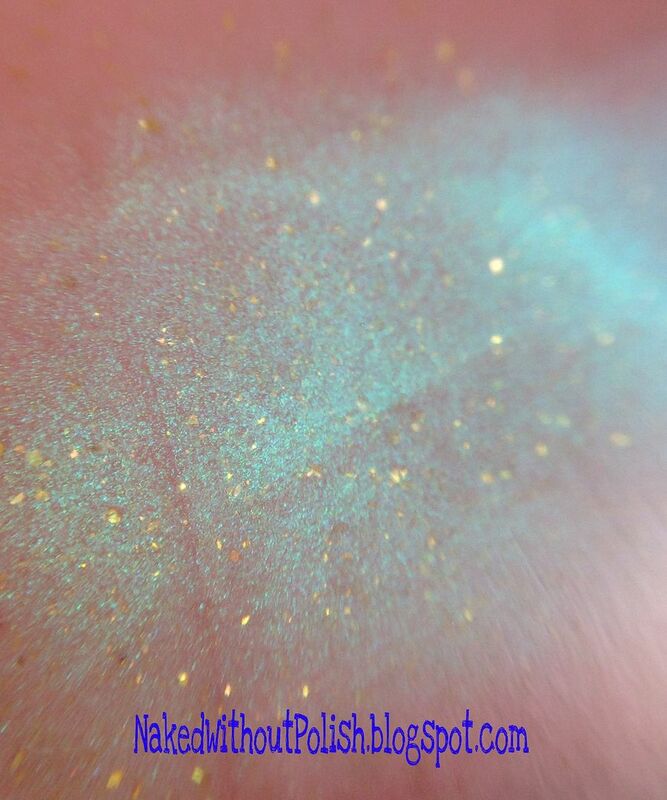 Naked Without Polish was meant to be a carnation pink base filled with a seafoam shimmer and dusted with gold flecks. After playing around with it, we realized we were going to have to make the base slightly paler than I originally wanted. It was the only way we were going to be able to get the shimmer and gold flecks I so desperately needed in there. I'm happier with this color than I would have been with the carnation pink shade. This is two thin coats for full opacity. That was one thing I wanted to ensure. It had to be opaque. I do love a good crelly or jelly, but Naked Without Polish needed to be straight forward no gimmicks. Ji delivered absolute perfection, as always. Not being completely biased, but application, formula, color, everything is perfect. 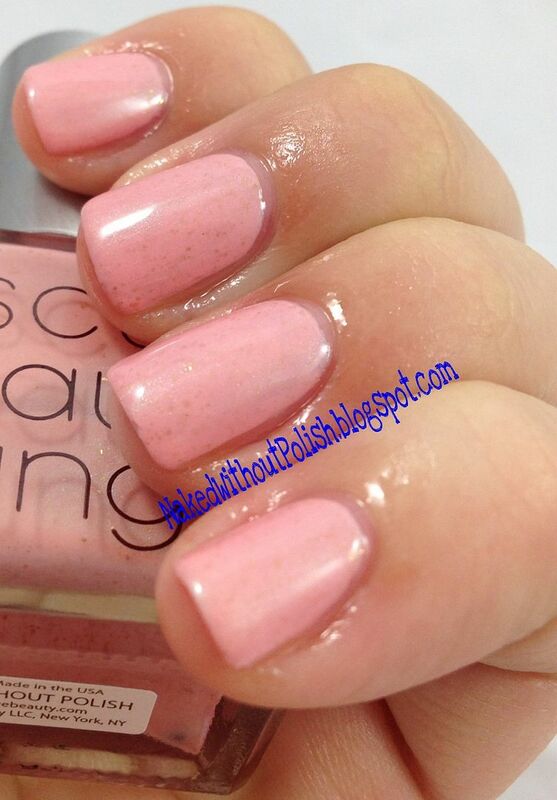 If you aren't a pink person or a fan of pinks, this color looks amazing on every skin tone. It truly has the ability to change minds. Read any of the blogger reviews or reviews on the Rescue Beauty Lounge site. I am so incredibly proud to have my name (and my blog's name) attached to this polish. Thinking you need this polish? I know you need it! You can buy it [HERE] for $20 a bottle. Yes, I know, a little steep for some of you. But I can tell you, you will never have buyers remorse from buying this one. Not a chance! This mani was topped with Magpie Shine top coat ($7) and to hydrate my cuticles I used Sweet Nectar cuticle oil ($6). Both from A Girl Obsessed.